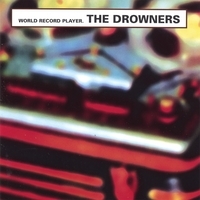 For those of you who haven't heard of The Drowners before, "World Record Player" (1997), is The Drowners second CD, A West Side Fabrication in Sweden. "Is There Something On Your Mind?" (2000) was recorded in LA with producer Matt Hyde for Wind-up Records in New York. their latest cd is Muted To A Whisper, released through Listening Post Music in the US. World Record Player definitely has a harder edge to it than the Drowners more recent material, however what continues to make it special is the importance melody plays in each of the songs on the cd. The Drowners have had a long history of having their music used in both movies and TV as you can see from the list below and have fashioned their videos to reflect their knowledge of the visual medium. Check out the Drowners - Muted To A Whisper too.